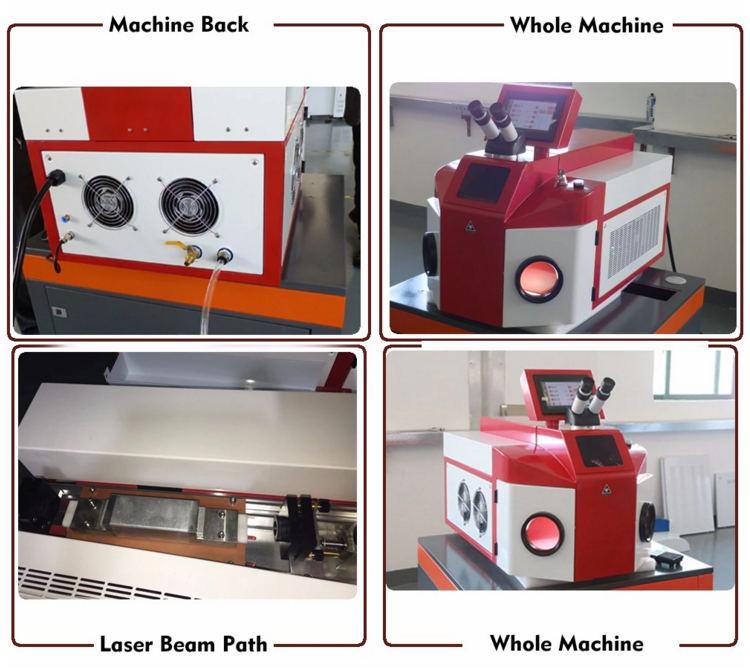 The laser spot welding machine200w dedicated to gold and silver jewelry, golf, fill holes for electronic components, welding trachoma, weld inlay mouth and soon. Welding firm, beautiful, non-distortion, simple operation, easy to use. 1.Whole machine adopted ergonomics design. It can better meet jewelry industry’s requirements on precision, beautiful, stable performance, long time and constant processing. 2.Big inner space, it is convenient for placing tools and fixtures.